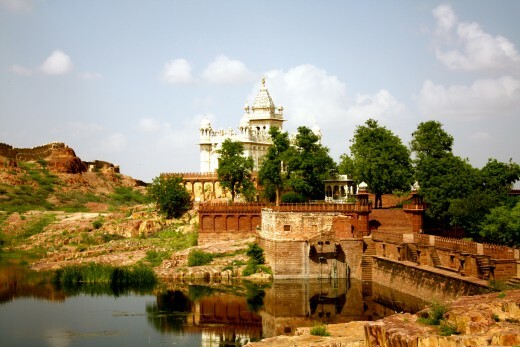 Jodhpur is an enchanting city located on the edge of the great Thar Desert. I first learned about it from an incredible movie, The Fall in 2009 where a character stands on a hill overlooking an amazing blue city. 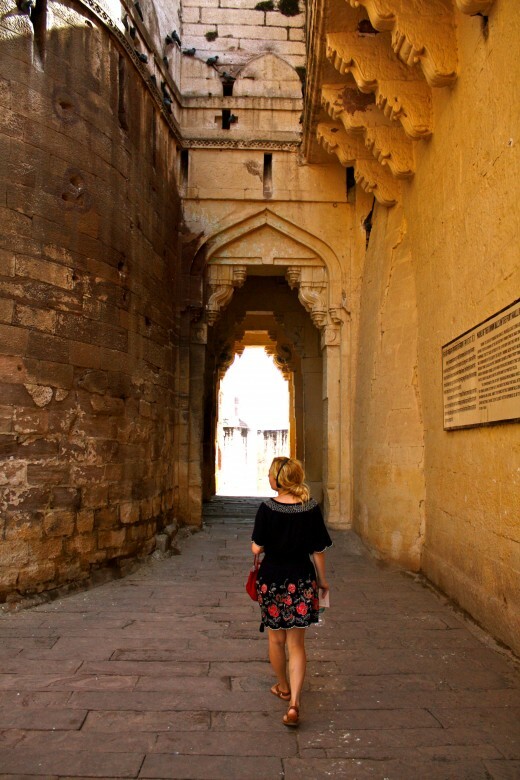 I was fascinated with the place and during the summer of 2010, my boyfriend and I visited the city - Jodhpur, located in Rajasthan, India. 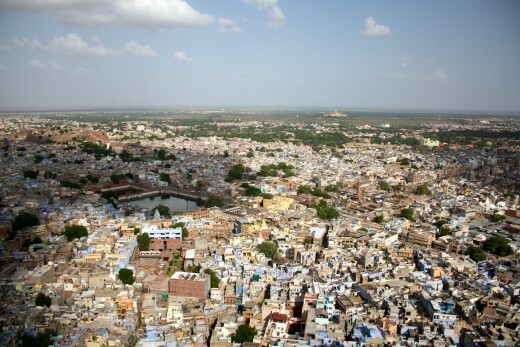 Jodhpur is a Brahmin city that has two nicknames - "Sun City" because of the city's daily sunshine and one that most tourists know it by - "The Blue City". The Blue City nickname is really suiting because of the blue tint that the houses around the Mehrangarh Fort have. Citizens are actually forbidden in Jodhpur to pain their houses any color other than a shade of indigo blue! 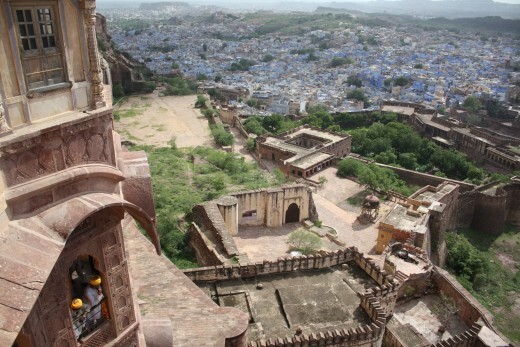 When filming The Fall, the director gave citizens free paint and the fresh layer of blue paint looked stunning when the movie's charterer stands at the Mehrangarh Fort overlooking the vibrant blue city below. It's looks surreal! 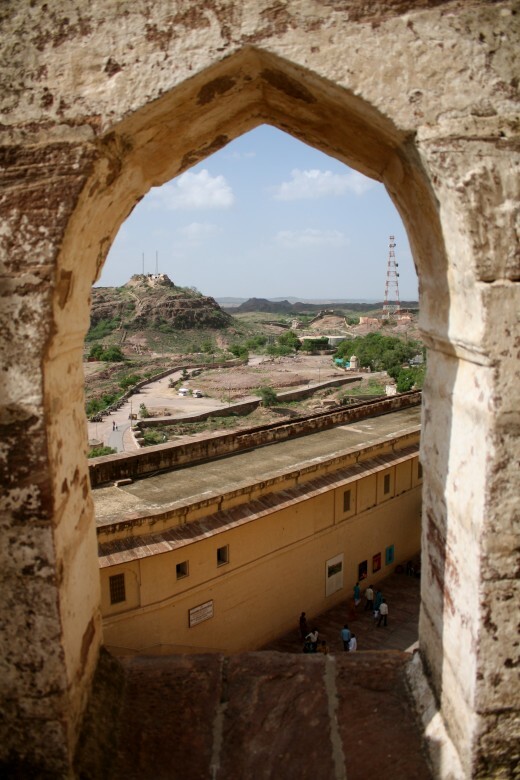 Jodhpur was founded by the Rathore Clan in 1459. In previous times it was known as Marwar. 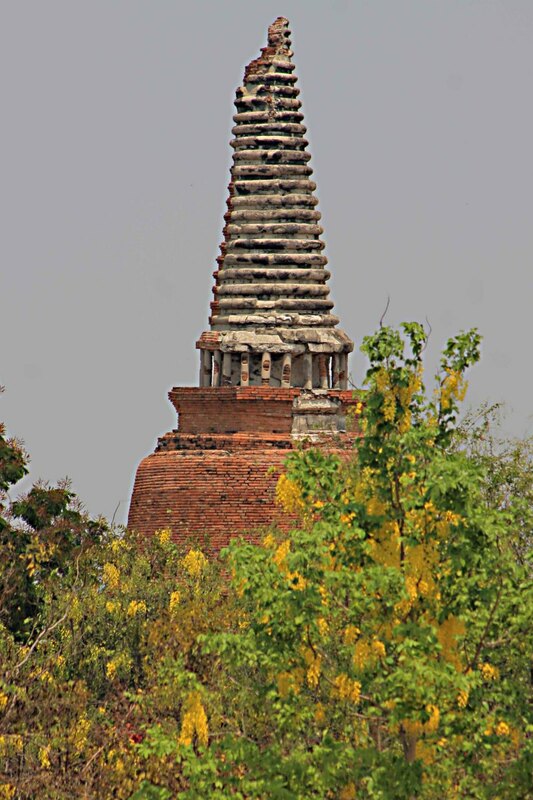 Mandore, the ancient capital of Marwar, located just 7 km outside the Jodhpur. And if you're in town during the Hindu month of Ashwin (September-October), definitely check out one of the most famous festivals in Rajasthan, Marwar Festival. It's an annual celebration commemorating the heroes of Rajasthan with folk music and dancing for two days. Another major attraction of the festival is the camel tatoo show and polo! 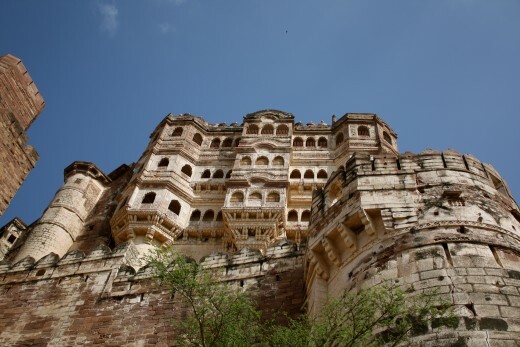 Mehrangarh Fort is a majestic fort on top of a 150 meter high hill, occupying the entire top and providing stunning 360-degree view of the blue city below. 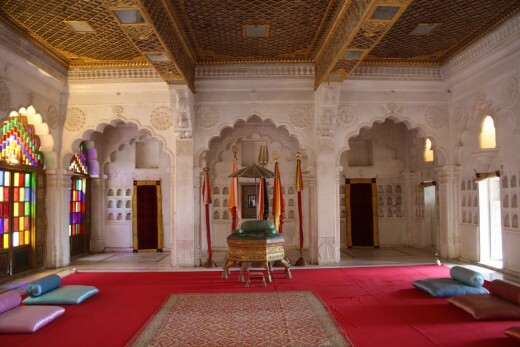 The fort is the largest in all of Rajasthan and has a wide array of attracting such as palaces, galleries, a museum, and temples to spend an entire day sightseeing. 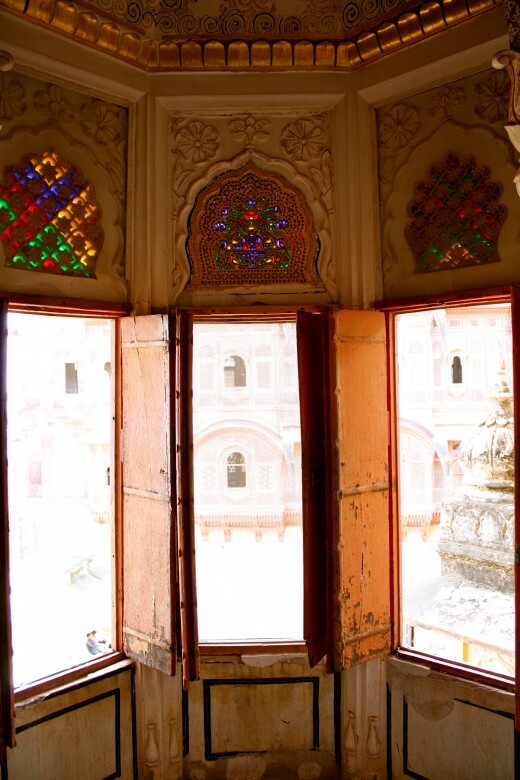 Moti Mahal, or "Pearl Hall" is a room with colored glass windows where the Maharaja entertained his guests. Sheesh Mahal, or "Mirror Hall" is a room filled with beautiful mirrors. 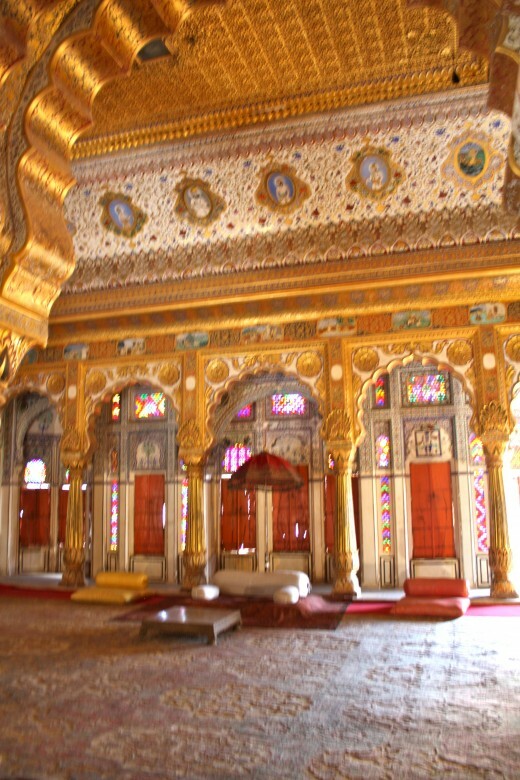 Phool Mahal, or "Flower Hall" is a room where the Maharaja was entertained with dancing girls. 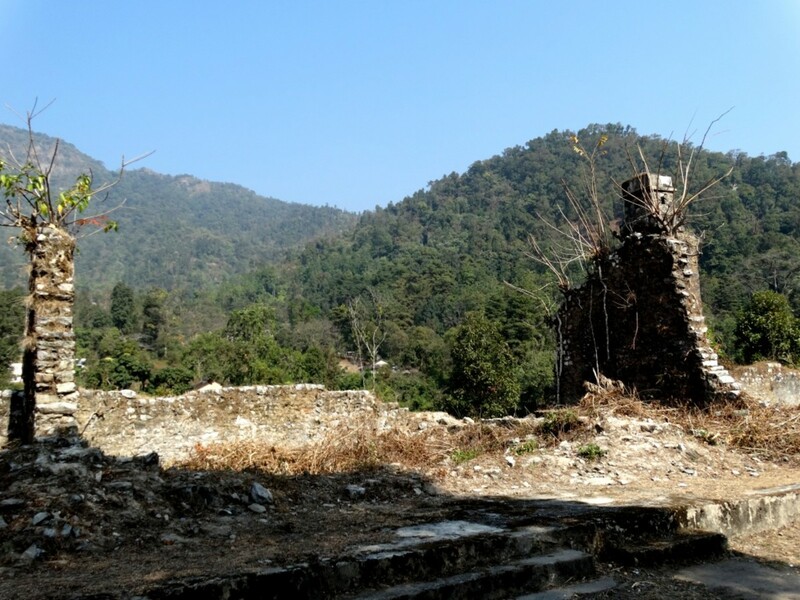 Chamunda Mataji Temple, devoted to Rao Jodha's, the local favorite goddess. 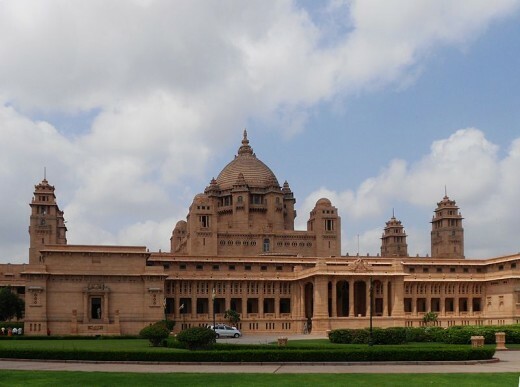 Umaid Bhawan Palace is the current residence of the current Maharaja! It's actually one of the largest private residances in the world. The palace was just built in 1944 and is the last palace built in India. Half the building is now a 5-star hotel called "Taj Hotels Resorts and Palaces" so you can live under one roof with the king! There's also a small museum in the hotel area of the palace. 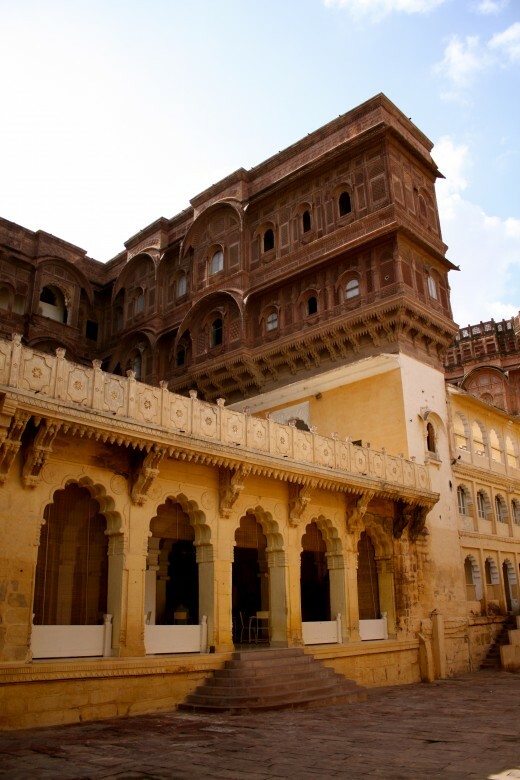 Jaswant Thada, located just a kilometer away is an easy walk from Mehrangarh Fort. It's a royal cenotaphs (empty tomb) built entirely in white marble. The cenotaph was built to commemorate Maharaja Jaswant Singh and the building also houses some rare portraits of former Jodhpur leaders. Entry fee: 30 Rupees, plus 25 Rupees for a camera. 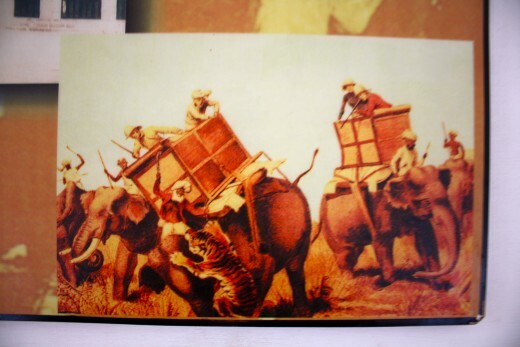 A howdah is a wooden seat on the back of an elephant. 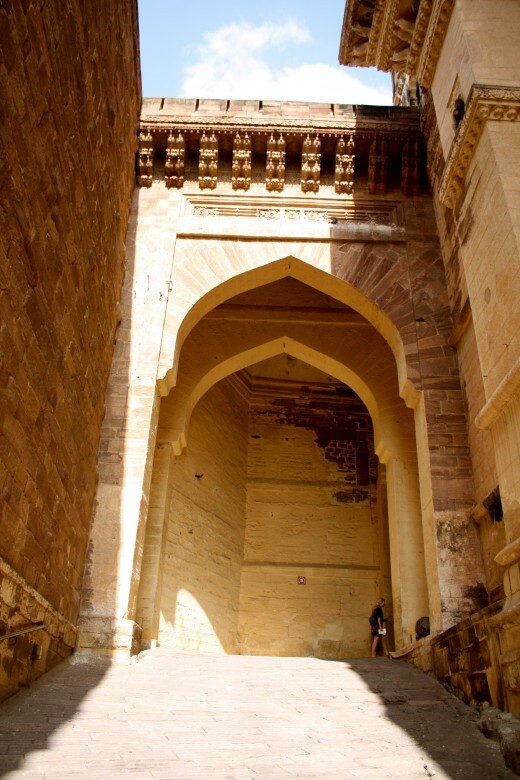 Jodhpur's fort has one of the finest collection of howdahs with historical significance in India. Within the collection is a silver howdah that was used by Mughal emperor Shahjahan that In 1657 was given by him to Jodhpur's Maharaja Jaswant Singh with an elephant, as well as 100 horses! Did you spot Jodhpur on this movie trailer? It looks fabulous! Very interesting and lovely pictures. voted up/awesome. Wow, again, amazing and the photos... absolutely great! Voted up and interesting and sharing! Have a wonderful day! I've visited Jodhpur, seen Mehrangarh Fort and Umaid Bhavan palace and wanted to hub about it but couldn't find enough words. Hats off to you for expressing your visit so well!! Very accurate and nicely described. The pictures are awesome. 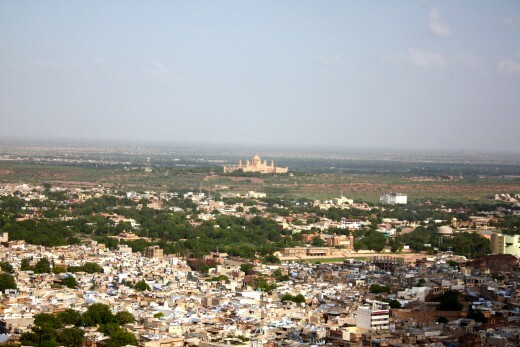 You make Jodhpur look so attractive. I am going to include it in the list of places to visit if I win the lottery. Very cool hub! India is an amazing country to visit. I hope to get back there someday. Jodhpur looks beautiful!